Are you owed back child support or spousal support in Florida? Or has your ex-spouse violated a custody or visitation order issued by a Florida court? If you answered yes to any of these questions then you should be aware that there are several different tools at your disposal for seeking compliance, one of which is asking the court to hold the violator in contempt of court. Failed to return their child to their co-parent at the end of a court ordered visitation period. What Happens When Someone is Found to be in Contempt? Contempt is an appropriate remedy for the violation. If should be noted that filing a contempt action is a rather severe remedy and that, under some circumstances, doing so may not be the most effective remedy available to you. For example, it may be more beneficial to first send a demand letter, ask the court to clarify a vague or unclear order, petition the court to modify their order, initiate enforcement and collection actions, and/or engage in an alternative form of dispute resolution before initiating a contempt action. An experienced family law attorney will be able to evaluate your situation and recommend a sound course of action given your circumstances. If you have questions about contempt and enforcement proceedings in Florida know that the Mander Law Group is here to help. 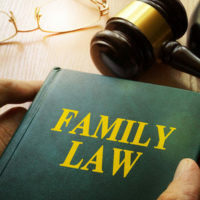 Our experienced Dade City family law attorneys handle a wide variety of family law issues throughout Florida and would be happy to assist you. Contact us today via our website or by calling (800) 557-0411.